The tawilis: nowhere else on God's earth but in Taal Lake. Indeed, that is the scientific name of this tiny freshwater fish than can be found in no other place on God’s Earth except our very own, beauteous Taal Lake. 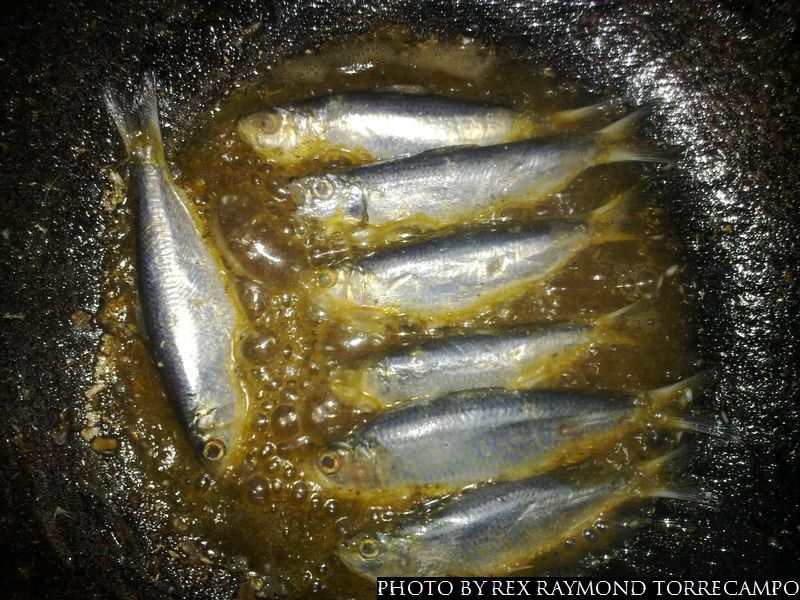 Alternatively, the fish is called the Freshwater Sardinella – and not that anybody here in the province even remotely cares. We just say tawilís. Note the accented “í” with which Balarila dictates we pronounce the word mabilis, the accent on the -lís. We used to have distant relatives from Pasay who – in the sixties – would come visit us at Fernando Air Base in Lipa City every now and again and ask for tawí-lis. Note the accent on the middle syllable. But what did they know? They were from Pasay. It was a Batangueño fish they were asking for. I love tawilis fried crispy. As its scientific name implies, the tawilís is, in fact, of the sardine family. Unlike many of its cousins that live out in the open sea, the tawilís evolved into a purely freshwater specie after a major eighteenth century eruption of Taal Volcano effectively sealed off the lake’s link to Balayan Bay. The lake – over time – became completely non-saline and the tawilís had no recourse but to evolve along with it. 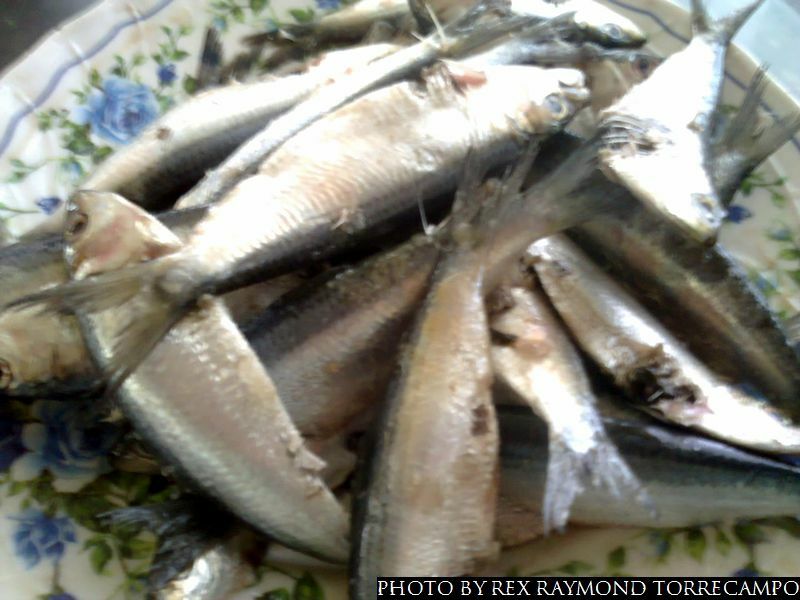 Back to our relatives from Pasay, the frequent requests for tawilís – if I remember correctly – were brought about by the scarcity of the fish in the Pasay City Public Market and the fact that if it managed to reach the market at all, it would always be priced prohibitively. There were, naturally, no such constraints for us. The fish was always readily available at the Lipa City Market if the old lady who sold the fish on a bilao balanced atop her head decided not to walk the streets of the Base for the day. And served with slices of tomato. The relatives were never fussy – they only ever wanted the tawilís cooked over a charcoal grill. This was fine because Dad was always patient building charcoal up into a bed of embers above which the tawilís in their skewers would be grilled. Because the tawilís is so thin, they would be done in hardly any time at all. Perhaps, it would have been asking too much of the relatives from Pasay to have fun with just tawilís and freshly cooked rice – even if the latter was of the dinolores variety that is, sadly, not planted by farmers any more. So Mom made sure there was always green mangoes and bagoong alamang to complement the tawilís. Everyone – of course – ate sakol: Batangueño dialect for eating with one's hands. What other way could there be? For the gentlemen, there was also always San Miguel. Grilled, of course, is not the only way to do tawilís. I am fine with it fried, especially if it is done so crispy or tostado. This way, I stuff the whole fish into my mouth and chew away – heads, tails, intestines, scales and all. I like my fried tawilís with slices of red tomato and itlog ng pula – salty red egg. Others in the family used to love having some pahô, a miniature specie of mango, as well; I just never learned to eat it. My mouth never quite agreed with the taste. Tawilis done pinais style is really breakfast fare. Then, there is this special way that my Mom used to do the tawilís, although I cannot for the life of me recall what she used to call it. The tawilís is mixed with sliced onions and tomatoes and some whole chili pepper; then wrapped inside a banana leaf. Everything is then placed inside a wok, seasoned with soy sauce, brought to a boil and then simmered for a while until there is only a little of the broth left underneath the banana leaf. The broth is excellent mixed with the rice; you have to eat sakol, of course! Sometimes, Mom would do tawilís as pinais. For this, the tawilís is tied as many as four or five at a time with strips of banana leaf and then cooked inside a palayok or earthen pot. 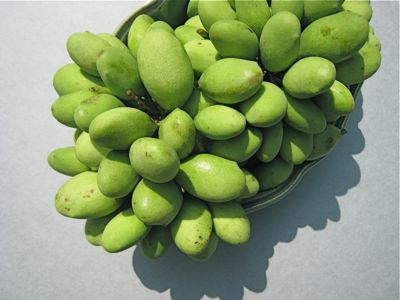 To taste, it is seasoned with salt, vinegar, black pepper and dried kalamias or bilimbi. 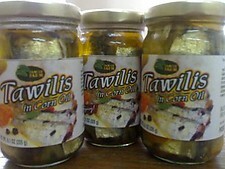 I am not too fond of tawilís done this way – too bland – if it is to be eaten for lunch or supper with freshly cooked rice. With fried rice and sunny side up, it is a different matter altogether. 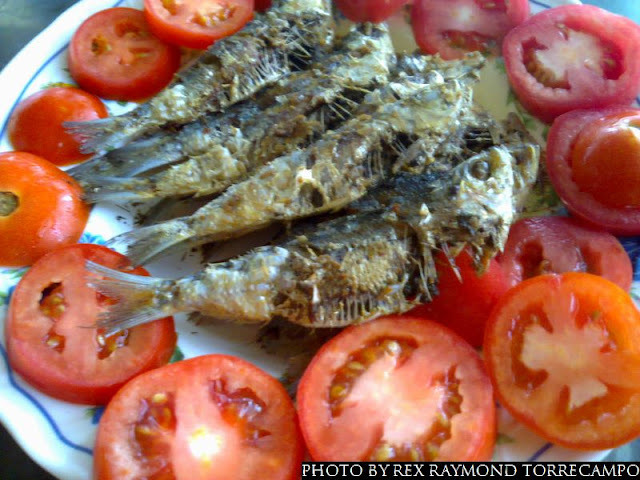 When I come to think about it, the pinais – with any fish – is really breakfast fare. The rest of the family adored paho. I just never acquired a taste for it. I am not too fond of the tawilís cooked kinamatisan, (a tomato-based soup) either. 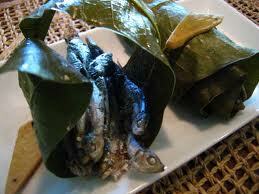 On the other hand, the only fish I really like kinamatisan is mackerel. Even then, I will never rate it among my all-time favorites. I understand that the tawilís is being threatened by commercialism and overfishing. It is now well known all over the country, unlike when I was young. Remarkably, it is also now found on supermarket shelves as processed Spanish-style sardines. Remarkably, there is now even Spanish-style tawilis. Where this leaves the tawilís, I can only conjecture. It remains, however, still readily available hereabouts freshly caught from the lake. I still see a maglalakô every now and again with a timbangan (a weighing contraption) in one hand and a plastic pail filled with tawilís in the other, hollering his catch every few steps as he goes along his way. The sight remains somehow reassuring because I know that any time I pine for tawilís, the fish is still readily available for a quick grill or perhaps done in banana leaf as my Mom used to do so divinely when she was alive. I just have this feeling I will have to prepare some charcoal one day very, very soon.